Many companies rely on Microsoft Exchange Server’s public folders to store shared data, archive documents and collaborate on projects. At the same time, the native capabilities of Exchange Server do not allow users to view Exchange public folders on mobile devices. This wouldn’t be a major issue, if not for the fact that smartphones, tablets and other handhelds are gradually replacing laptops and desktops as primary workplace devices. Luckily, CodeTwo has a solution: CodeTwo Exchange Sync. An application which allows you to automatically synchronize Exchange public folders with users’ personal mailboxes, making the public data instantly available on users’ mobile phones. Owing to this, Exchange tasks, contacts, calendars, and other outlook items, can be viewed and modified via devices running on iOS, Android, Windows Phone, or any other system supporting Active Sync protocol. CodeTwo Exchange Sync can be installed directly on the Exchange Server or on a Windows workstation in the Exchange Server domain. Bear in mind however that the syncing process cannot take place when the machine hosting the software is off, so choose one which is mostly powered on. Worth noting fact is that if you install the application directly on the Exchange Server, you ensure that less data travels through your network, making it a more secure option than a PC installation. 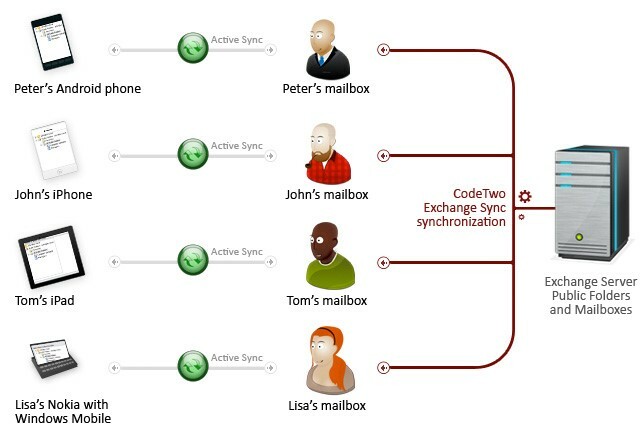 Thanks to a user-friendly interface, CodeTwo Exchange Sync lets you easily configure all necessary synchronization tasks, which are then applied automatically and in real time. If you encounter any problems the in-depth installation guide can be found in the User’s Manual or you can contact our Customer Support team for assistance. – folder ring (two-way synchronization) – a reciprocal exchange of data between a group of folders. 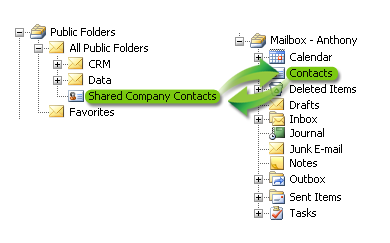 Learn more about one-way and two-way public folders synchronization. In addition, CodeTwo Exchange Sync offers filter and modifier features that give you even more control over synchronized items. Filters allow the administrator to define criteria based on which contents of a public folder will be included in the synchronization. The feature can be used for monitoring purposes, access rights management and preventing excessive mailbox growth. Modifiers give the administrator wide control over synchronized data including modifying item attributes, setting properties, appending categories, labels or meta-information, and more. See the filters and modifiers in action here. We are going to look at one-to-one and one-to-many synchronization types as they are the most common. In one-way synchronization the target folders always have the same items as the source folders. Mobile device users can only see public data but they cannot modify them. And even if they try, their changes will be immediately replaced with data from the source folder. Open CodeTwo Exchange Sync Admin and click New in the top-left corner. A dialog box will appear. 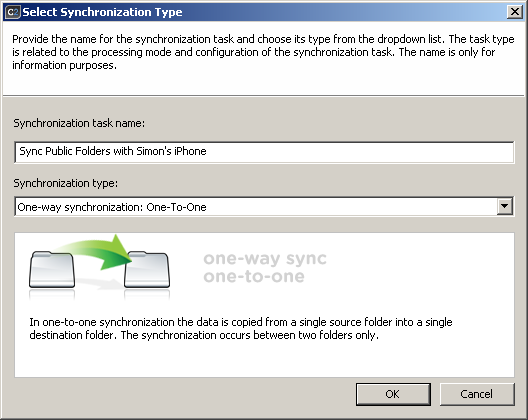 Enter the name of the synchronization task and from the dropdown menu choose One-way synchronization: One-To-One. The new synchronization task will show up in the left pane. Highlight it to display all configuration options in the right pane. The task is activated by default, but it can be disabled by unchecking it. 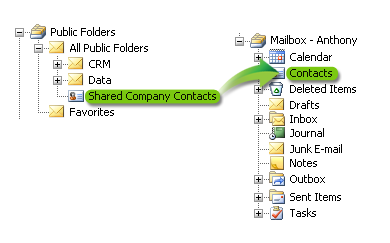 In the Folders scheduled for synchronization section of the right pane click Browse next to the Source folder and a list of all Exchange folders will appear. Select the public folder you want to sync, e.g. shared tasks. Now select your Target folder and save the changes. CodeTwo Exchange Sync will automatically start to synchronize both folders. A dialog box will appear. Enter the name of the synchronization task and from the dropdown menu choose One-way synchronization: One-To-Many. The new synchronization task will show up in the left pane. Highlight it to display all configuration options in the right pane. Click the Add button next to Target folders and select users’ personal folders, e.g. Tom contacts, Holly contacts, Simon contacts. Save all changes. CodeTwo Exchange Sync will automatically start to synchronize all selected folders. When one-way synchronization is used, the administrator can use modifiers and filters to gain a better control over synchronized items. In two-way synchronization when a change is made in one of the folders, it automatically appears in all remaining folders. 1. Pull up the CodeTwo Exchange Sync Administration Panel and click the New button in the top-left corner. 2. A dialog box will appear. 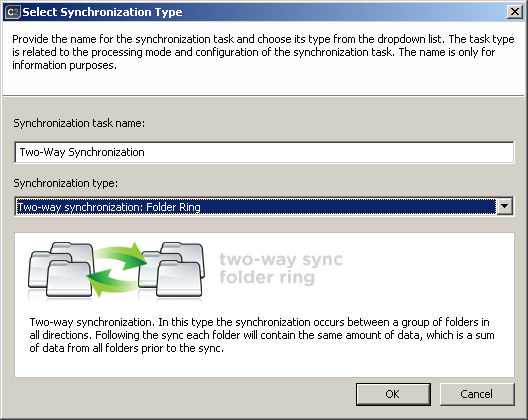 Enter the name of the synchronization task and from the dropdown menu select Two-way synchronization: Folder Ring. 3. The newly created sync task can be seen in left pane. Highlight it to display all configuration options in the right pane. The task is activated by default, but it can be disabled by unchecking it. 5. When you click the Save changes icon, CodeTwo Exchange Sync will automatically start to synchronize all selected folders. Now all users can access their Exchange public folders on their mobile device. Does this product fully support Exchange Server 2013? Does it support an on-premise multi-tenant solution with Address Book Policies (ABP)? Yes, the program is compatible with Exchange Server 2013. Learn more about system requirements and installation in the User’s manual. Multi-server environments are supported, as long as they are not mixed environments, with different Exchange Server versions. So the user will only have the public contacts and calendar folders on his phone and will not be able to also have his personal ones? Does this work with Room/Resource mailboxes as well? Yes, CodeTwo Exchange Sync also works with Room/Resource mailboxes. Hi Carl! Thanks for reaching out. 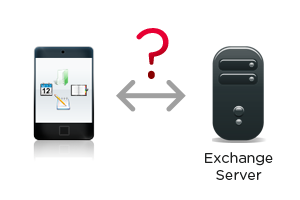 Unfortunately as for now only Exchange Server installed on-site is supported. This looks like a great solution! Is this compatible with Office 365 or is this only for onsite Exchange installations?